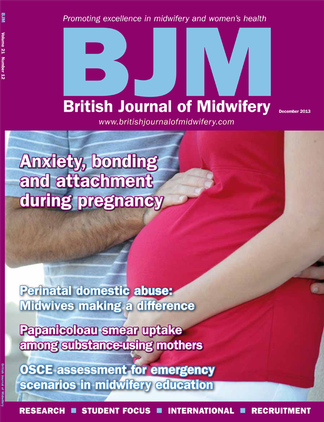 BJM is the premier journal for midwives, containing a wealth of clinical, professional and educational peer-reviewed content focused on midwifery and women's health. The journal publishes the most relevant and up-to-date original research, evidence-based papers and clinical reviews which establish best practice and current thinking in the field. Be the first person to tell us what you think about British Journal of Midwifery and you'll save £2.50 on your next purchase!